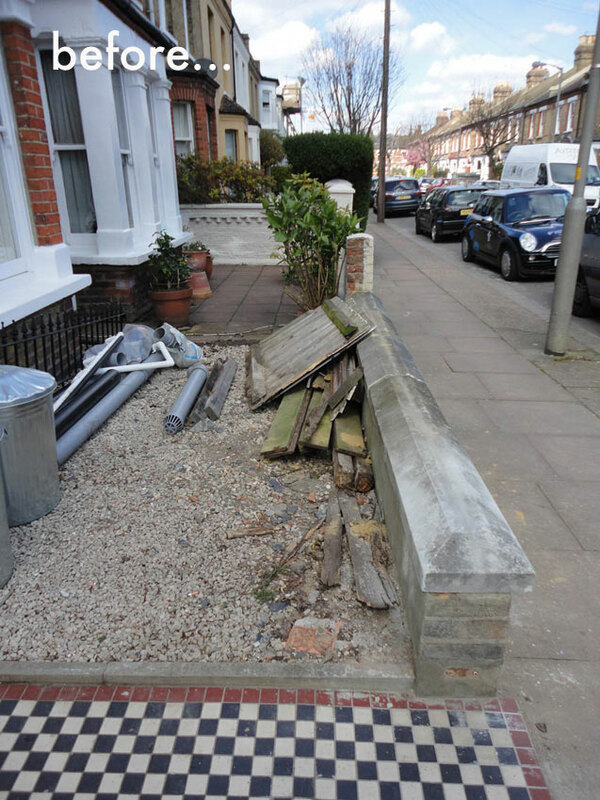 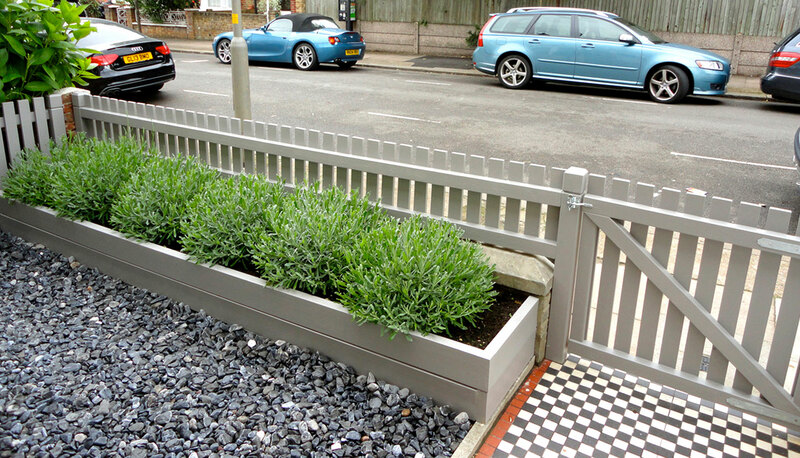 A tiny front garden had to be virtually maintenance free and yet still have charm & character…some classic details and styling were needed to refresh this space. 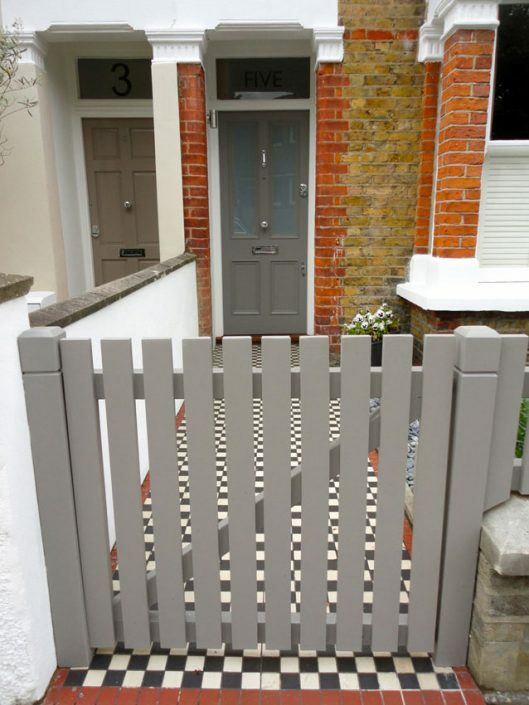 The clients were renovating their house and had chosen bespoke joinery in classic styling for their new interior so this theme was reflected in the design of the front garden. A very simple scheme of a timber picket fence and a raised wooden planter to go match were the key pieces for this garden. 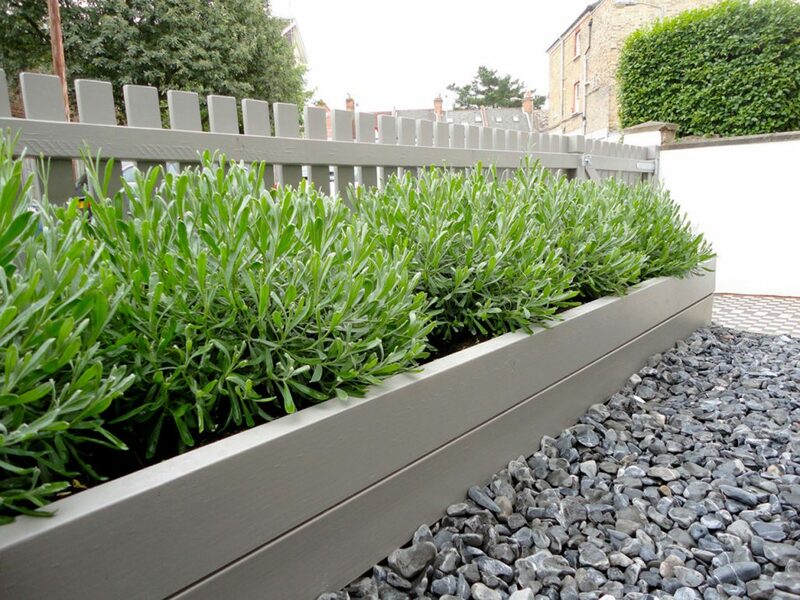 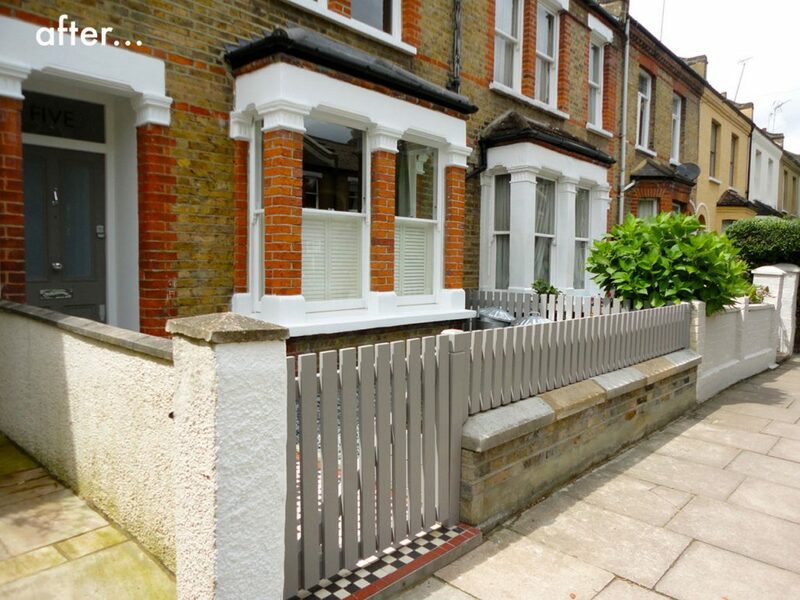 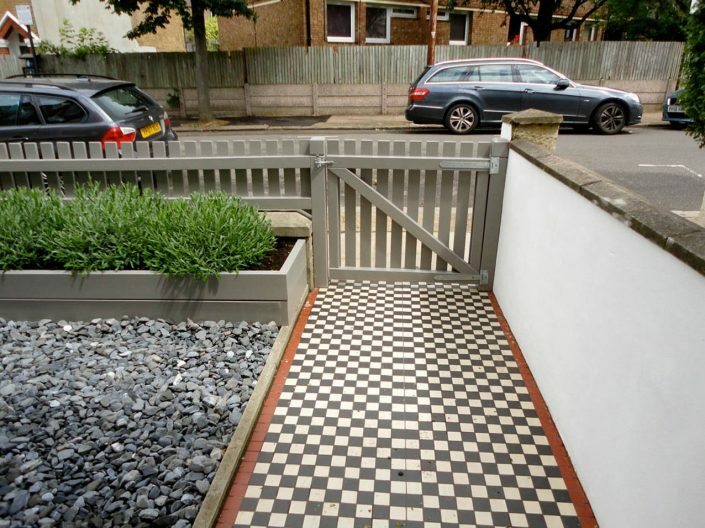 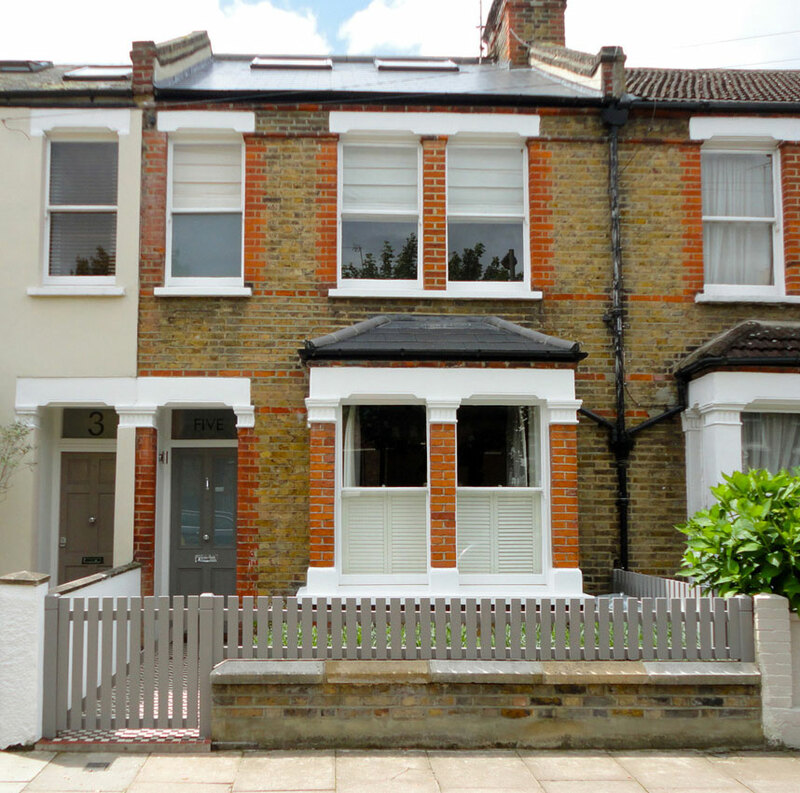 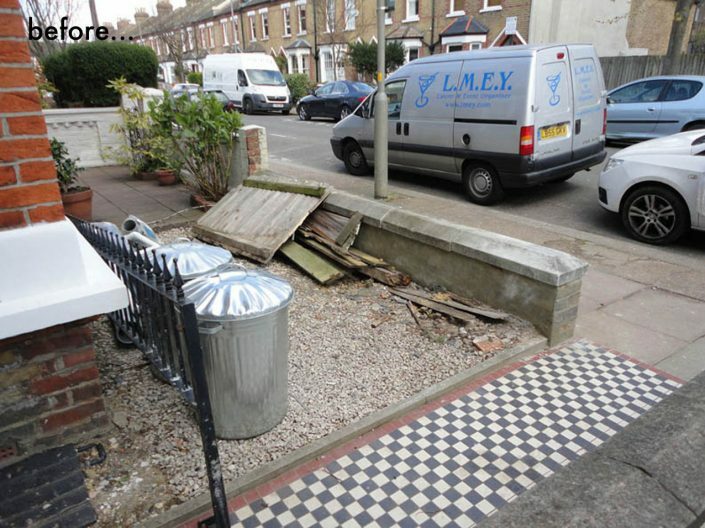 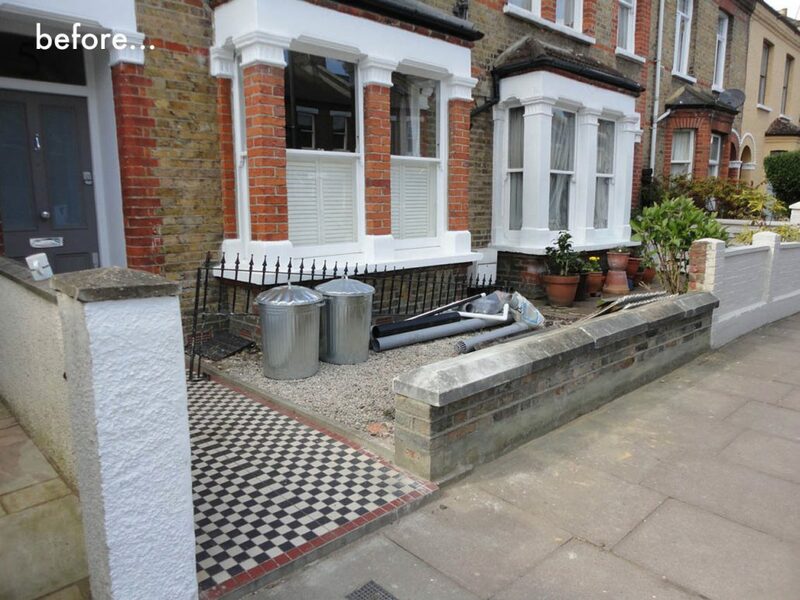 A colour palette of pale of grey tones was used … soft grey paint was used on the bespoke picket fence, side fence/wall, matching gate, and the house front door, large charcoal grey pebbles for the ground area, and finally a pair of shiny new aluminum bins completed the look. 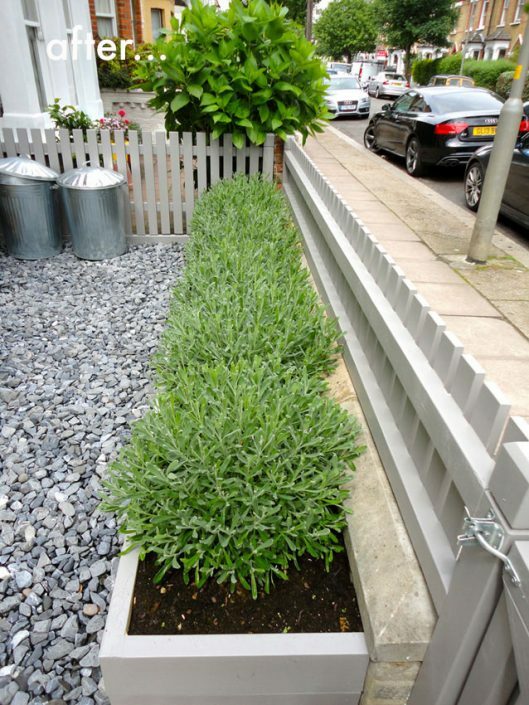 As the clients requested a very low maintenance garden – the planting was reduced to a simple lavender hedge to give virtually all year round evergreen look with the bonus of flowers and heavenly scent. 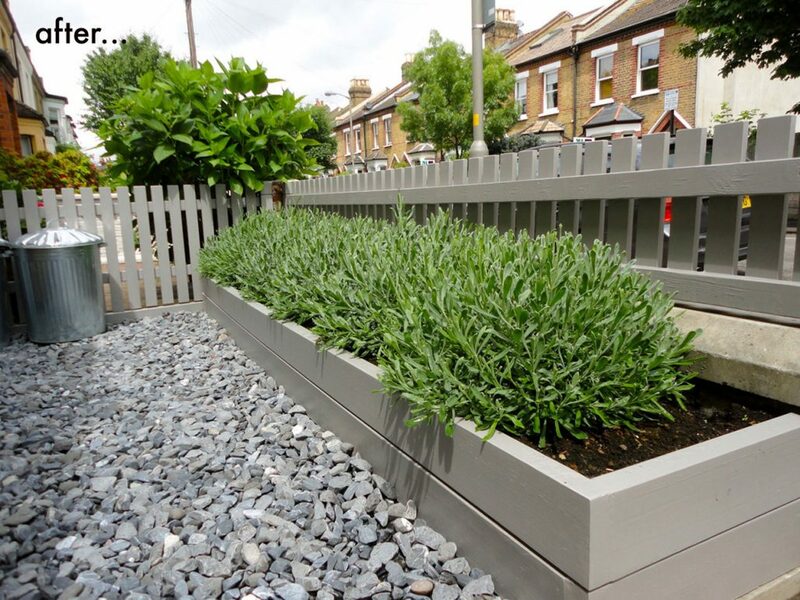 The classic silvery tones of the foliage of lavandula intermedia ‘grosso’ and the deep violet blue of the flower spikes worked well with the greys of the hard landscaping materials and accessories.